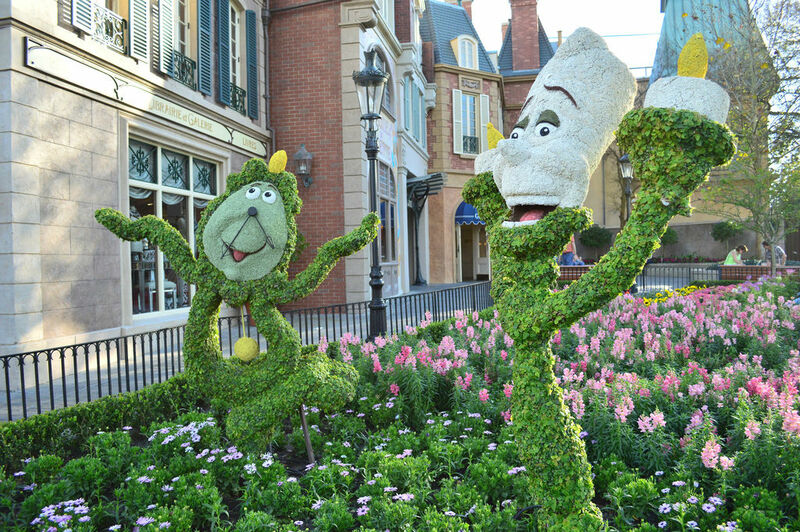 This week’s SATURDAY SIX covers Six Reasons We Love Epcot’s 2014 Flower and Garden Festival. While there are a lot of annual events in Orlando that are near and dear to us for varying reasons (the wild party atmosphere of Mardi Gras, the scares of Halloween Horror Nights, the incredible parade and fireworks of Mickey’s Not So Scary Halloween Party, the food and, uh, wine of Epcot’s Food & Wine Festival), one event stands out from all the rest because it stresses the fact that we should – literally – stop and smell the roses. That’s right, Epcot International Flower & Garden Festival is back, and this year just may be the best yet. What really makes Flower & Garden special is how amazing it is just to walk around Epcot and take it all in. Most events in theme parks are limited in the size and scope of their overall effect on the individual park, but you can see the beauty and tranquility of Flower & Garden everywhere you go. This week’s Saturday Six is going to look at six of our favorite parts of this year’s festival, and we’re going to start with one of our favorite subjects: food. The Outdoor Kitchens made their debut at last year’s Flower & Garden and bring a little bit of the Food & Wine dynamic to the festival. 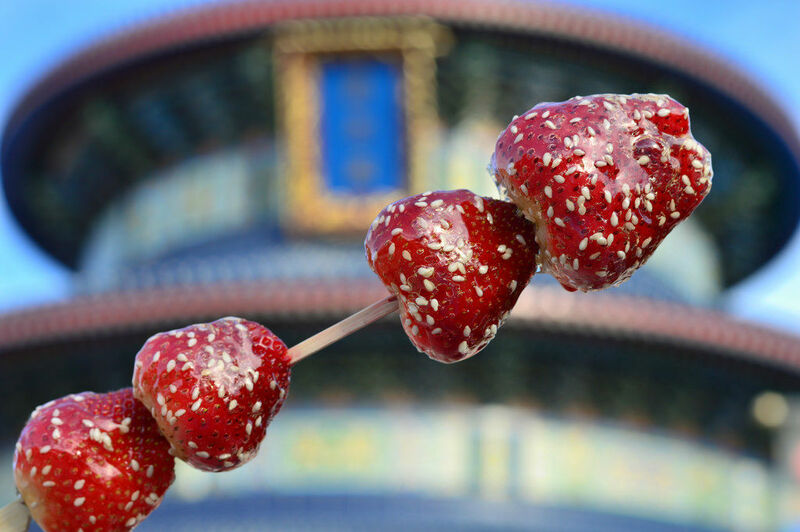 What they don’t bring with them are the outrageously long lines from Food & Wine, allowing you to sample various food and drinks from throughout World Showcase with very little wait. The Outdoor Kitchens are also very vegetarian and vegan friendly, something that can’t be said about Epcot’s fall classic. 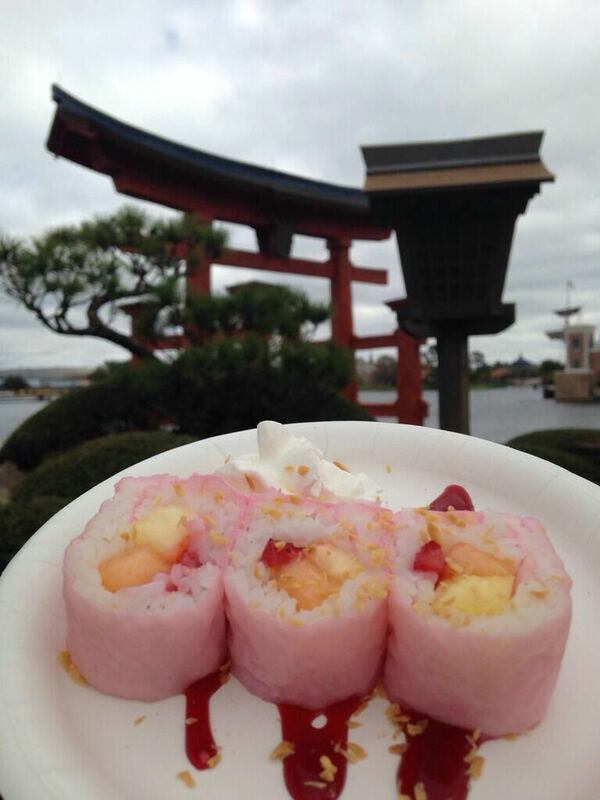 Frushi made its return at Hanami (Outdoor Kitchen located in Japan) and is one of those items (like Twisted Taters at Universal) that needs to be featured year round. It’s unique, delicious, and can be used as a sort of gateway drug to get picky eaters (or kids) to try new foods. There are still many items that involve meat including the Pulled Pork Slider and Smoked Turkey “Rib” at the Smokehouse, and even the Piggylicious cupcake, which includes bacon within the cupcake batter itself. With the current state of Epcot being as it is, you’re probably going to want to have an adult beverage while you walk around and Outdoor Kitchens have you covered. While not technically a drink, the Don’t-Call-It-A-Dole-Whip Pineapple Soft-serve with rum is almost a rite of passage. Afterwards you’ll wonder two things: 1) why aren’t they serving Dole Whips with booze in the Magic Kingdom? and 2) could they possibly make these cups any smaller? Highlights include the Kung-Fu Punch at the Lotus House and the Kronenbourg Blanc at Fleur de Lys (which I also got at the Be Our Guest restaurant), but as person who generally finds myself just getting Miller Lite on draft when I go out to the sports bars, I found myself more than satisfied with the Magic Hat #9 and Fat Tire craft beers found at the Smokehouse. Be prepared; while there are some tremendous values in the food items, you are more than likely to encounter some “sticker shock” at the price of some of the drinks, especially when you see the size of the cups. 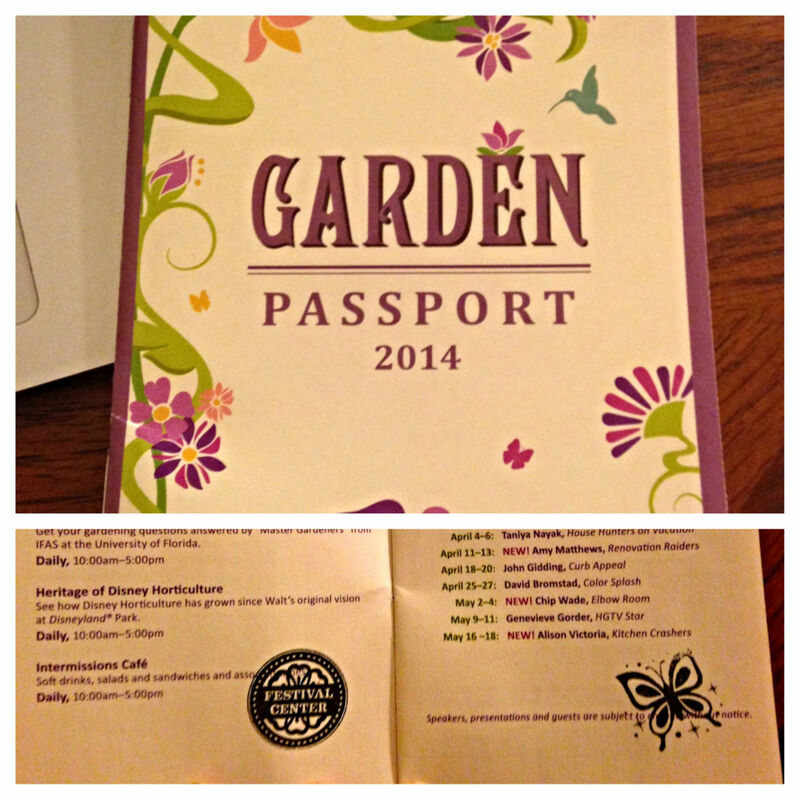 The Garden Passport not only tells you everything you need to know about what’s going at the Flower & Garden Festival, but it has a checklist of every single food and beverage item, and you can get it stamped like a regular passport at various places throughout Epcot. 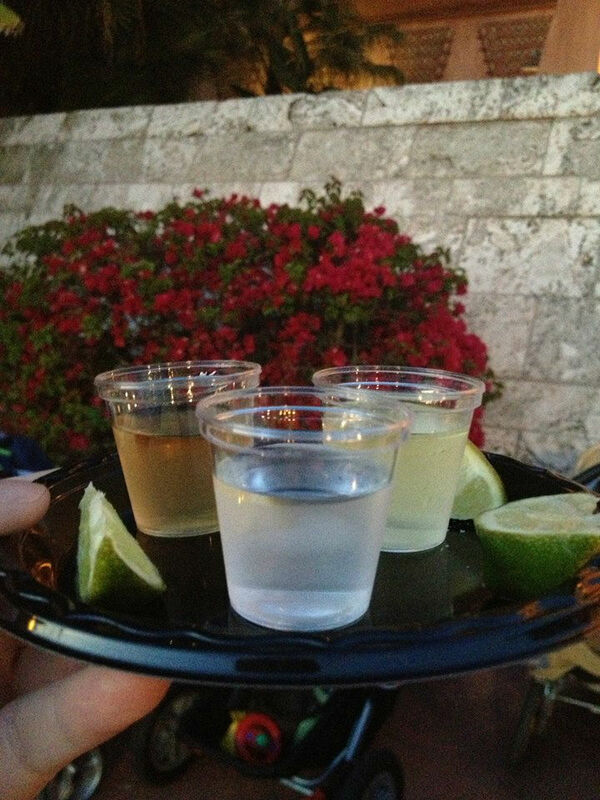 Pick one up at Guest Services, the Festival Center,or any of the Outdoor Kitchens. It’s like Wilderness Explorers at Animal Kingdom for adults. Walking through Tinker Bell’s Butterfly House is the best relaxation technique there is. 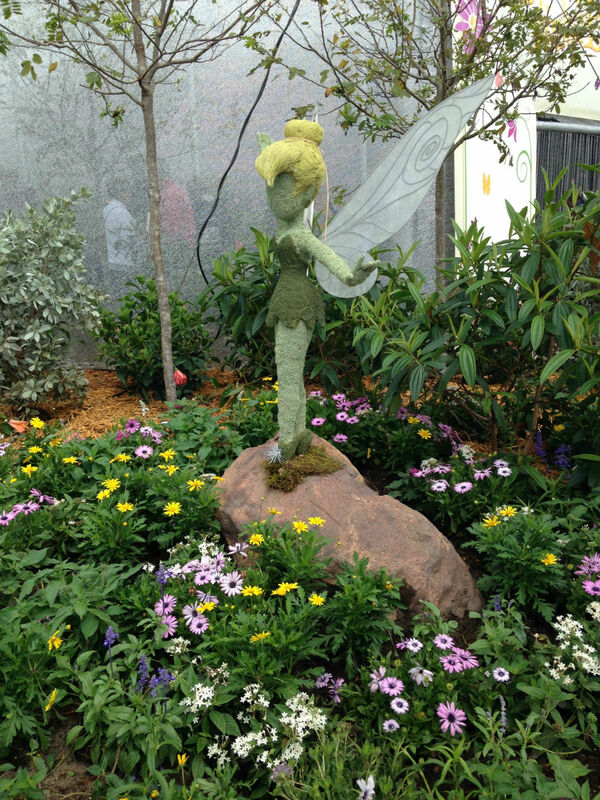 Topiaries, glass sculptures, flowers, and thousands of butterflies. Just the thing you need to bring down your blood pressure after realizing your only FastPass+ options are for the Character Spot, Captain EO, and the Seas with Nemo and Friends. Epcot is neck and neck with the Magic Kingdom as the best park to just walk around in, and Flower & Garden makes it even better. Everywhere you go there are little touches that make the park different from how it is on any other day of the year. One of our only complaints about the hard ticket events at Magic Kingdom is that pretty much only Main Street, U.S.A., is elaborately decorated, but you will find evidence of Flower & Garden throughout the entirety of Epcot. This is the Disney Difference. The Flower Power Concert Series may not have artists who are currently on the Billboard charts, but you are going to recognize the music being played. 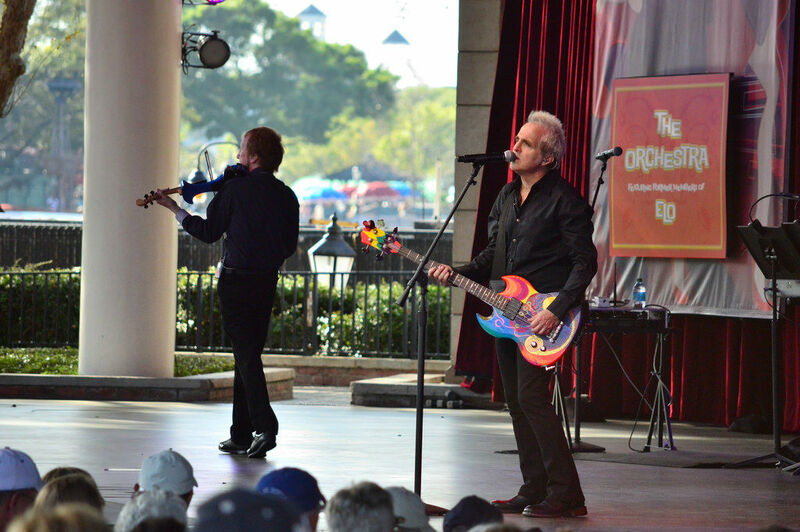 Every Friday, Saturday, and Sunday at the America Gardens Theatre you’ll find a classic music act rocking out. 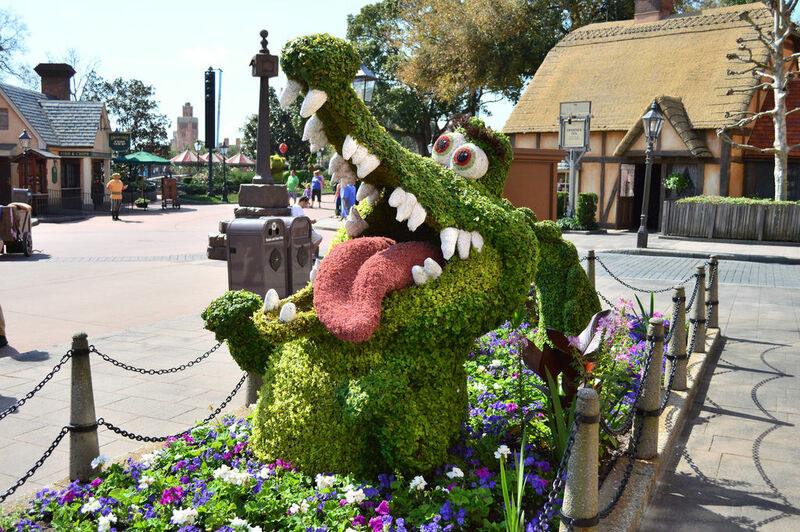 One of the most well known aspects of the Flower & Garden Festival is the display of amazing topiaries throughout the park, and this year it has been taken to the next level as many of these amazing creations have been given life-like faces to make them really stand out. 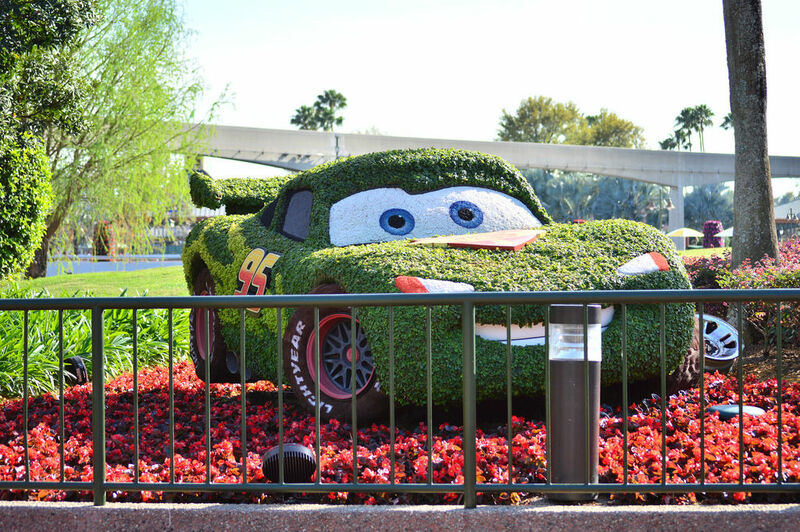 From returning favorites like Mickey Mouse, Lightning McQueen, and Goofy to new additions for the Kermit the Frog and Miss Piggy, there are almost 100 topiaries across the park that will have you wondering how-did-they-do-that?! 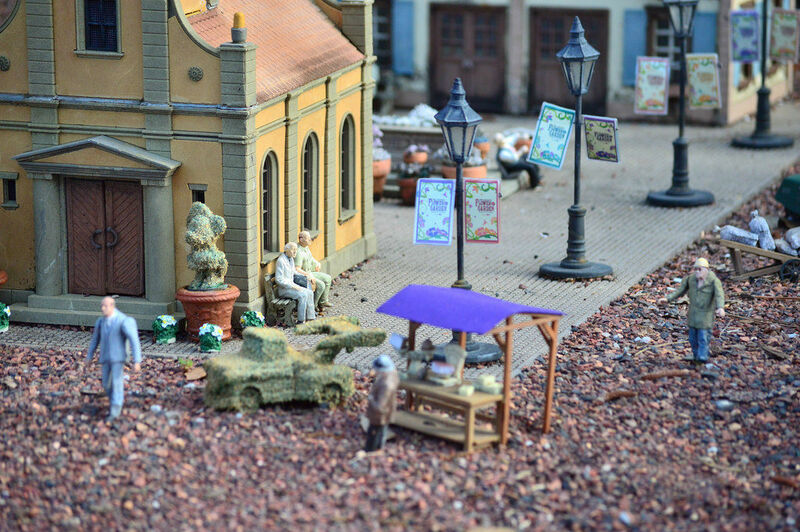 The Snow White and the Seven Dwarfs topiaries have become almost jaw-droopingly good with the added detail. 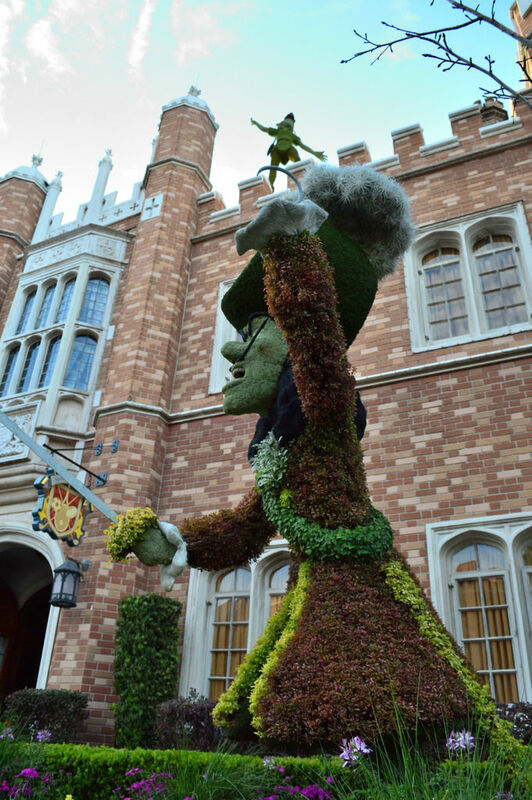 So there you have it: Six Reasons We Love Epcot’s 2014 Flower & Garden Festival, but this article barley scratches the surface of everything that the festival brings to the table. At the festival center there is so much to see and do, including seminars with celebrities from HGTV. There is one Outdoor Kitchen (“Urban Eats”) that focuses on sustainably farmed foods and another – “Florida Fresh” – that brings a little bit of local flavor to Epcot. Anything that brings more Florida to the parks is a good thing. See you next weekend for the latest edition of the Saturday Six, where we will look at Universal’s new Cabana Bay Beach Resort. If you had fun, be sure to check out The Magic, The Memories, and Merch! articles or, for your listening pleasure, check out Pardon the Pixie Dust podcast. 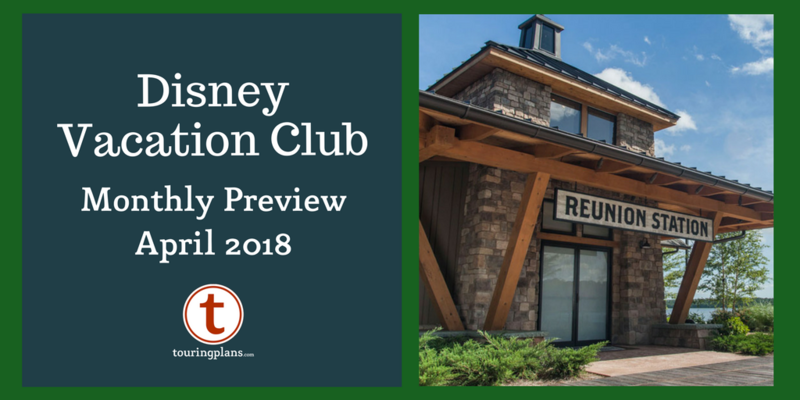 Special thanks to Disney Blogger Extraordinaire Morgan Crutchfield and Brandon Glover for their assistance with this article. In fact, Morgan put together an amazing “MagMini” dedicated to Flower & Garden which you can check out by clicking this link. Wow Derek, that is the first time I have ever heard or seen you use “literally” correctly. Maybe there is a scrap of hope for you after all.